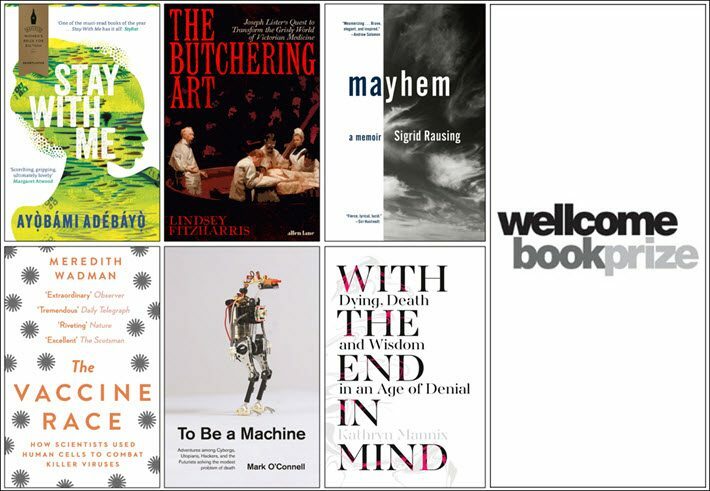 Themed on medical science and society’s relationship to it, the Wellcome Book Prize announces a shortlist for 2018 that includes four debuts. One title is a novel, one is a memoir, and four are nonfiction. For those unfamiliar with it, the Wellcome Collection in London—named for its patron Henry Wellcome—is a museum and library focused on science and medicine. With its slogan about being a place “for the incurably curious,” the organization is currently featuring, for example, exhibitions including the digital article “The Story of Yoga,” “Ayurvedic Man: Encounters With Indian Medicine,” and “Somewhere In Between,” which features the work of artists Martina Amati, Daria Martin, Maria McKinney, and John Walter, in collaboration with scientists. 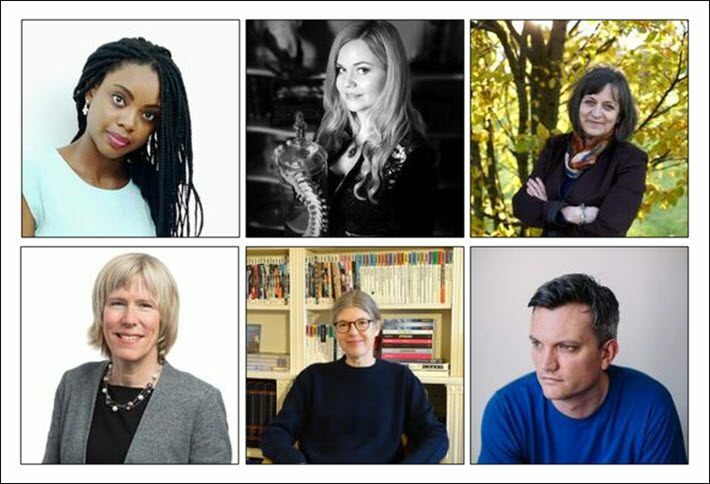 The book prize from Wellcome carries a £30,000 purse (US$42,100) and is scheduled to be conferred on it winner on April 30 at the Wellcome Collection in London’s Euston Road. This award can be lost amid so many at this time of year, of course, especially in the UK, rich in prize programs announcing batteries of categories at a time. The Butchering Art by Lindsey Fitzharris (USA) Allen Lane, Penguin Press. Described by the jury as “A gruesome yet spellbinding account of how Joseph Lister transformed medicine,” with a cover art treatment of Thomas Eakins’ 1889 The Agnew Clinic. And Kirty Topiwala, who is the publisher for the Wellcome Collection, is quoted, saying, “Year on year this genre continues to excel. The parent company of the Wellcome Collection is the international charitable foundation Wellcome, also based in London, which makes the refreshing point in its press materials that it’s both politically and financially independent. The charity supports initiatives, it says, in areas including biomedical sciences, population health, product development and applied research, humanities and social science, and public engagement and creative industries.